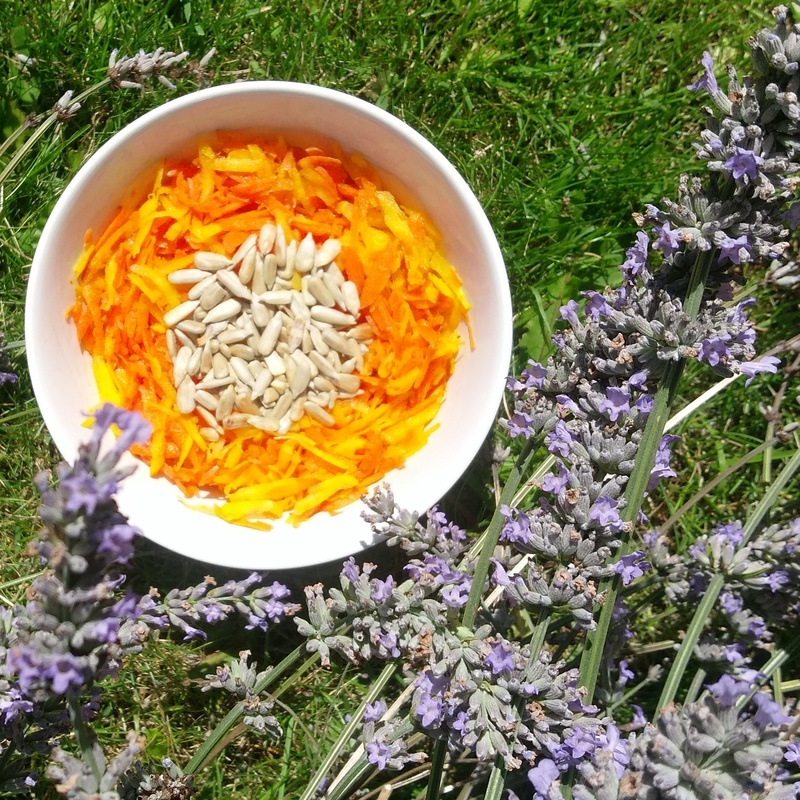 Grated golden beetroot and carrot with lightly toasted sunflower seeds. Dressing: simply apple cider vinegar (with mother). I didn’t, but you could stir a dollop of sheep’s yoghurt if you wish. Sunflower slaw is perfect for nourishing your digestion. The Chinese Earth element is represented by the colours orange and yellow. 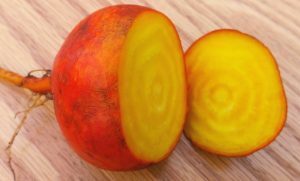 These colours, together with the natural sweetnessof carrots and golden beetroot, gently soothe your stomach and spleen. Your digestive ability is said to be enhanced when you include such Earth element foods. The “mother” in the apple cider vinegar is the ferment produced when vinegar is made. It helps top up your gut bacteria, and so supports your digestive functions as well as your immune system and general wellbeing. The vitamin B6 and magnesium in the sunflower seeds are wonderful at soothing your adrenals and calming your nervous system. This directly impacts the health and activity of your digestive system – and your whole body. Nourishing your Earth element often helps you to feel grounded and connected. It may also help to reduce sugar cravings, especially together with the sour flavour of the apple cider vinegar. And it all looks very pretty on your plate!